Finance Think has been heralded a social innovator in the area of gender equality. 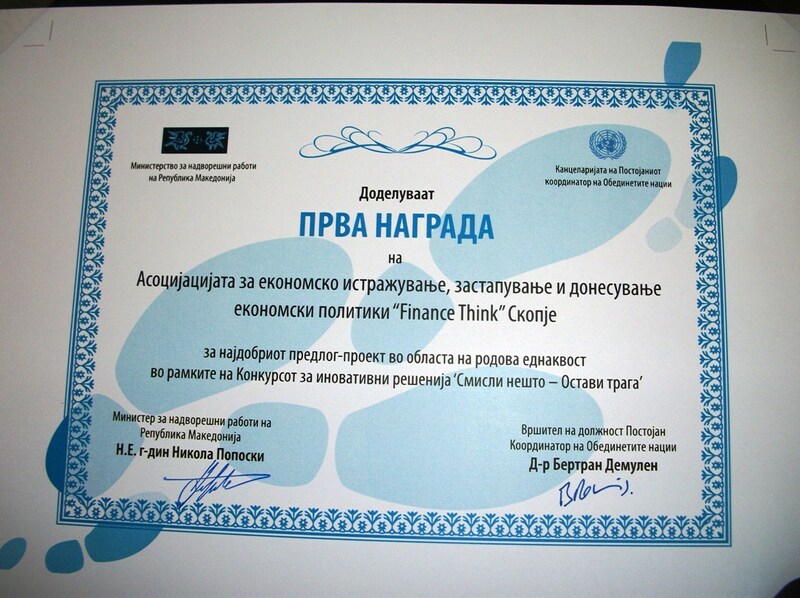 The Institute won the First Prize on the open competition of the United Nations and the Ministry of Foreign Affairs of Macedonia, in the occasion of the celebration of 68 years since the establishment of the world organisation and 20 years of Macedonia’s accession into the UN. In particular, the idea for establishing a web platform which will help companies and individuals in testing their wage so that to eliminate the gender wage discrimination has been awarded. The innovative solution should lead to eliminating the gender wage inequality at the country level in the medium term.